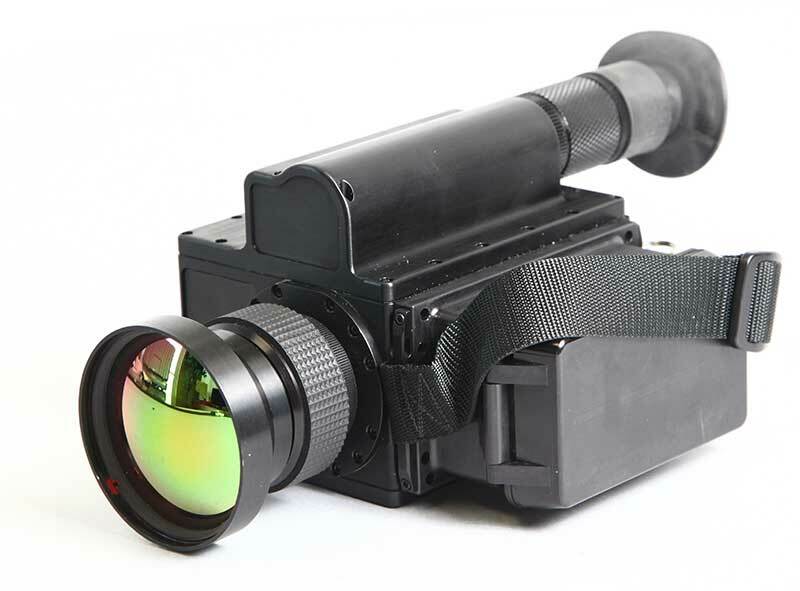 The Inframetrics Milcam XP has long been regarded one of the most reliable thermal imaging systems for SWIR surveillance, reconnaissance, combat operations, border patrol & search and rescue missions by America’s elite military operators and first responders. The system features a cooled 256 x 256 FPA PtSi (Platinum Silicide) detector that provides SWIR high resolution thermal imaging footage, and a human detection range of over 5 meters. The camera has a rugged mil-spec case and can operate in virtually any inclement weather conditions, so fog, dust, cold or even total darkness can’t stop it from getting the job done. The system works in the 3-5 micron range, giving it a unique thermal perspective unlike many popular thermal imagers today in that it can in many circumstances penetrate even glass substances. (You can’t do that with the 7-14µm or 8-12µm models that are made today). This Inframetrics Milcam XP used thermal camera is being sold in AS IS condition. There are no warranties, exchanges or returns of this item. All sales of our closeout items are final. The item has been powered on and verified as in working condition. Kit contains: Milcam XP used thermal camera, 1 battery, a hard carrying case, lens cloth, video out cable, comfort strap & lens cap. System dimensions: 8.25″ x 3.75″ x 4.0″ Weighs under 5lb. Menu adjustments include: polarity, contrast, level, standby, reticle on, low battery & field NUC.